Sewage backup is a nasty hassle, especially when it prevents you from enjoying the sunny and beautiful weather of Kendall. Do not let raw sewage spoil a perfect good day, call the sewage backup Kendall professionals at 911 Restoration Miami today. Kendall, Florida is a true paradise, with ocean breezes wafting over palm trees, through windows, and down picturesque streets. In our effort to keep the city as clean and beautiful as possible, the sewage backup Kendall team has dealt with the full range of plumbing issues, large and small. Our sewage backup and cleanup services are unmatched, and we are ready to help solve your emergency immediately. We are available 24/7 for even the nastiest clean up jobs. So call now and find out about what to do and who to call if you have a flooded toilet or any other sewage backup issue! Who do I call if I have flooded toilet? Our sewage backup Kendall team at 911 Restoration Miami is who to call if you have any sort of sewage issue. We have got a team of highly trained and extremely efficient technicians who are ready to take on a toilet overflow or any other unexpected sewage dilemma. With over 35 years of experience in the business, our technicians have seen more than our fair share of sewage, and we’ll use only the latest drying technology to get your house or business back in pristine shape. We value professionalism, and respond within 45 minutes, day and night. Here are just a few of 911 Restoration Miami’s amazing and helpful services. We offer black water, grey water, and returning water extractions. We are experienced in all areas of plumbing including leaks, a pipe burst, washer burst, malfunctioning water heater, or ruptured hoses. We offer information on preventative maintenance of sump pumps, gutters, downspouts, your water line in general and even a sewage back flow valve. We can help you avoid catastrophe by educating you on the dangers of heavy rain, floods, severe storms, and even the tidal surge from a hurricane. We eliminate any infestation, fungus, or mold spores that may pose the health risk of congestion or respiratory problems to you and your family. We can repair or replace any faulty equipment or apparatus including a damaged fire sprinkler, water line, or toilet overflow. Sewage backup and cleanup Kendall specialists can solve any sewage issue you might experience. We are licensed, insured, and bonded, and we always put the customer first to deliver our top-notch restoration services at an affordable price. We are a complete, full service sewage backup clean up; we can handle everything from cleanup to your insurance company! Our sewage backup Kendall team recommends reading your homeowner’s policy to know if your insurance covers sewage backup. It is important to know the types of damage covered before an emergency happens and not after when it is too late. We are working with all insurance companies so our sewage backup Kendall team can help you sort out your insurance coverage. Our staff can even help file your insurance claim for you. 911 Restoration Miami has earned a reputation as one of the most reliable sewage backup companies in Kendall, Florida. 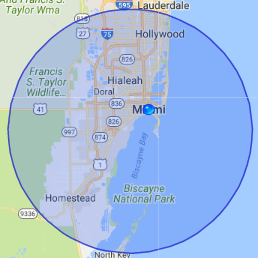 Where Can I Find the Most Reliable Sewage Backup Company in Kendall? You have found the most reliable sewage backup company in Kendall: 911 Restoration, and it is all thanks to our sewage backup Kendall company. If you read our testimonials you will discover that customers come to us because they need reliable restoration services. What those customer discover is that we are more than just sewage cleanup company. We are dedicated to making a difference in our community one home and one family at a time. Our passion is to give your home a fresh start so call 911 RestorationMiami today for top quality service.